By engaging with Quality Solutions for customer satisfaction surveys, you’ll have access to a variety of software solutions to support performance reporting and analysis. You also have access to our market research professionals and technical support team, who go above and beyond to ensure you’re getting the full benefits of the NPS system. Our Net Promoter software and customer satisfaction survey solutions are extremely robust, and since we develop and maintain the tools in-house, we can quickly customize them to meet your unique reporting needs. By providing quick and easily-consumed infographics, the dashboard allows our clients to always know where they are in relationship to their goals, rapidly identify trends, and take immediate action. Beyond the dashboard, reporting includes drill downs on specific attributes, attribute trends, buying criteria, and correlation analysis of drivers influencing your Net Promoter Score. 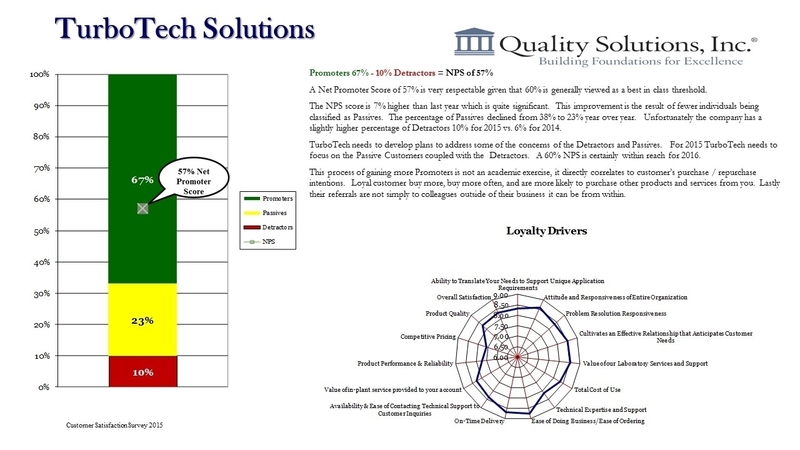 Qualitative and quantitative tools are combined to identify the primary and secondary drivers of customer loyalty. Statistical modeling is used to identify the relative importance and influence of each driver on customer satisfaction and loyalty. 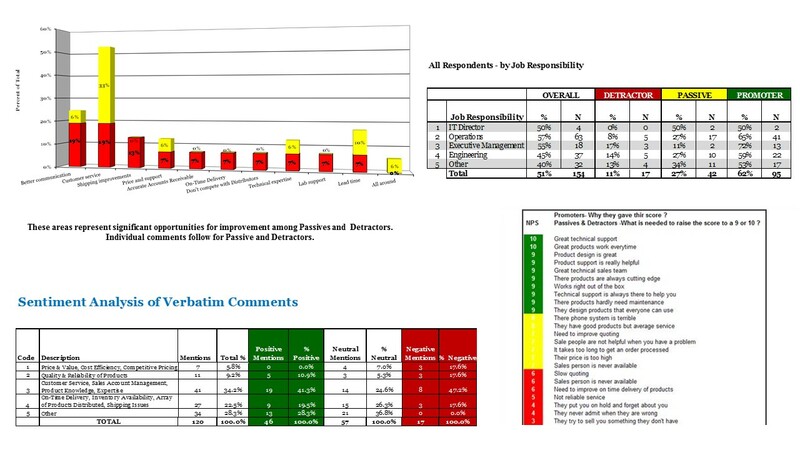 Each verbatim (open-ended response) is cross-tabulated to its score and customer profile for easy follow-up. And spider charts are used to easily point to weaknesses in relative comparison to other primary drivers. Using the goal-setting tool, the software can show how well you are performing to goal. 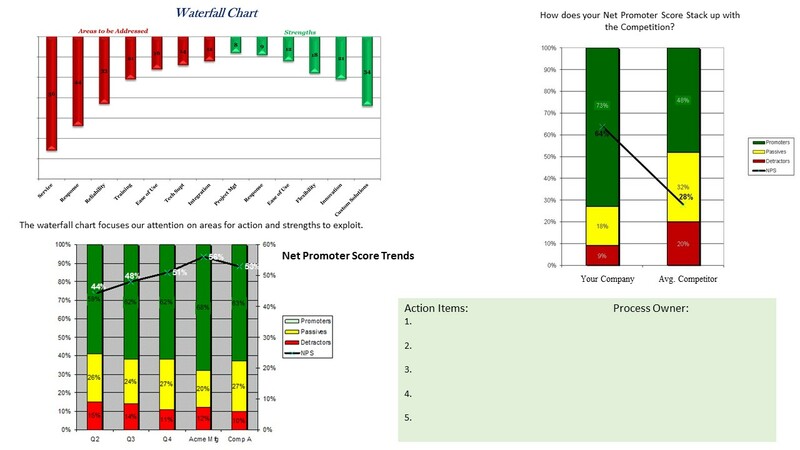 For companies conducting multiple Net Promoter Score surveys along various customer touch points, it can be set up to compare performance along each touch point. Our Net Promoter software easily interfaces with all CRM software. Through a simple interface, every customer transaction triggers a survey invitation. Internal settings also manage volume to avoid over-surveying customers. From there, you can create and manage reports that segment by region, branch, or any other criteria and update in real time for instant analysis. Individual surveys, including open-ended questions, can be translated into more than 100 languages. The program then translates your customers’ answers back into your chosen language for analysis. So whether you are a multinational company conducting a worldwide survey or a small business with in a multi-ethnic client base, Net Promoter facilitates any language barrier in a seamless manner.